Tropicana Mini Storage-Clearwater offers a wide range of storage space to fit anyone’s needs and budget. We have 655 self-storage spaces sizing from 5x5’s to 12x30’s. Our variety of storage units include climate controlled and non-climate controlled, drive up access, and both first floor access and our budget friendly upstairs storage with easy elevator access. Even though we are a self-storage facility, we are proud of the 56 business friendly industrial spaces tailor-made for small businesses to operate with choices of space with an office, restroom, and a warehouse area. Our leases are all month-to-month, so no long term commitment or contracts are needed. Plus, with plan approval, we can permit some modifications to the rented space. We also offer 150 RV and Boat Parking spaces nicely protected behind lighted computer gate access. We are also an authorized UHaul dealer and we can find the right size truck for your rental when other rental facilities can’t. We stock a complete supply of moving supplies and boxes here on site for 1-stop moving and shopping. We were just awarded our 15 Year Plaque from UHaul as one of the three top dealers in the Tampa area. Our sister facility in Largo, FL. offers an additional 740 self-storage units, so you will be sure to find something that fits your storage needs between both of our self storage centers. 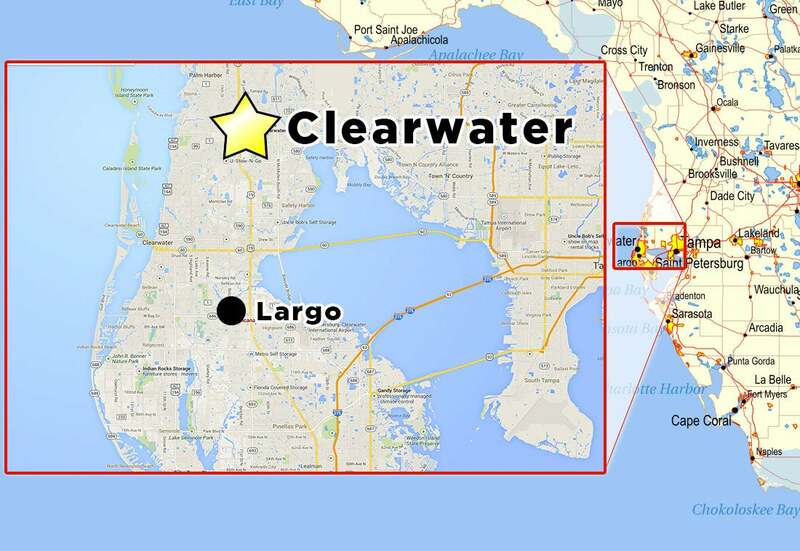 Largo also provides 120 RV parking spaces, moving supplies, and is also one of the three top UHaul dealers in the Tampa area.